Art. 94. (§ 894.) 2004 Mutiny or Sion. 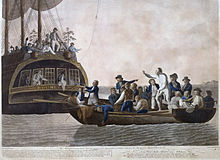 (3) fails to do his utmost to prevent and suppress a mutiny or sion being committed in his presence, or fails to take all reasonable means to inform his superior commissioned officer or commanding officer of a mutiny or sion which he knows or has reason to believe is taking place, is guilty of a failure to suppress or report a mutiny or sion. (b) A person who is found guilty of attempted mutiny, mutiny, sion, or failure to suppress or report a mutiny or sion shall be punished by death or such other punishment as a court-martial may direct.